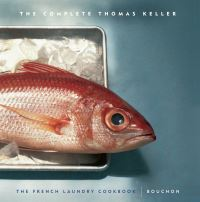 The French laundry cookbook captures, through recipes, essays, profiles, and extraordinary photography, one of America's great restaurants, its great chef, and the food that makes both unique. One hundred and fifty superlative recipes are exact receipts from the French Laundry kitchen - no shortcuts have been taken, no critical steps ignored, all have been thoroughly tested in home kitchens. If you can't get to the French Laundry, you can now re-create at home the very experience the Wine Spectator described as "as close to dining perfection as it gets." Bouchon cooking is about elevating to elegance the simplest ingredients, because the best food isn't necessarily what is served at white-tablecloth restaurants, and the best meals - as most chefs will tell you - don't require the most expensive ingredients or lots of them or lots of steps. The only thing that's required is that you care about all the stages of the process - the slow browning of sliced onion for an onion soup, the proper cutting of the potatoes for a gratin, the right amount of salt on a raw chicken, how long you cook a pot de creme. All the emblematic bistro dishes are here, interpreted and executed as they've never been before. This handsome boxed edition has been put together to commemorate the printing of the 300,000th copy of THE FRENCH LAUNDRY COOKBOOK and to celebrate the top ratings given to Keller's New York restaurant Per Se from the Michelin Guide and The New York Times. 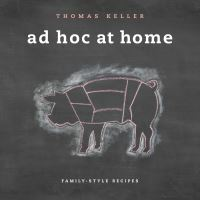 Thomas Keller was named "America's best chef" by Time magazine and is the only person to receive consecutive "best chef" awards. 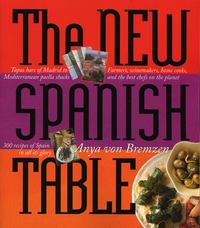 THE FRENCH LAUNDRY COOKBOOK won IACPs "Cookbook of the Year", "Best First Cookbook", and "Best Photography". THE FRENCH LAUNDRY was recently voted the World's top restaurant by Restaurant Magazine.